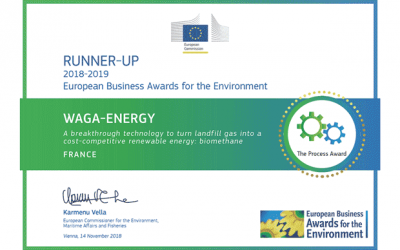 Waga Energy has developed a breakthrough technology to recover landfill gas into biomethane, also called Renewable Natural Gas (RNG). The WAGABOX® landfill gas upgrading units deliver high-quality biomethane, regardless of the quality of the raw biogas. The biomethane produced by the WAGABOX® can be injected directly into the gas grid or used as fuel for vehicles. 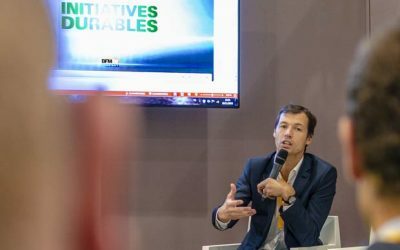 Waga Energy builds, owns, operates, and maintains the WAGABOX® units under long-term contracts with landfill owners, and biomethane sales revenue is shared. Upgrading landfill gas — a waste-management byproduct — positions Waga Energy to provide the most competitively priced biomethane on the market for end customers. For large-capacity landfills, WAGABOX® can offer grid parity with natural gas. WAGABOX® units have a double impact to help fight climate change: they capture landfills gas — a major source of greenhouse gas emissions — and produce a renewable substitute for fossil-based natural gas. Each new WAGABOX® unit marks additional progress toward a true energy transition and toward protecting our environment. Human activities produce more than three billion tons of waste per year. Most of this waste is landfilled (31% of waste in France). Once waste is buried, the organic matter inside breaks down naturally producing a biogas that consists mainly of methane. 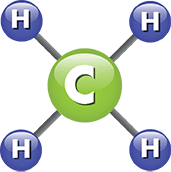 Methane (CH4), an attractive source of energy, is the main component in natural gas, a fossil-based gas widely used for heating and transportation. However, before this gas can be injected into utility grids, it must be purified. Waga Energy has developed a simple, economical solution for upgrading landfill gas into grid-quality biomethane. This solution makes it possible to harness an abundant source of renewable gas: landfills. 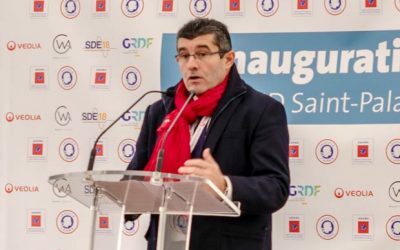 According to ADEME, the French Environment&Energy Management Agency, France’s landfills have the potential to produce 2.4 TWh of biomethane per year by 2023 — enough to supply a city the size of Lyon with gas.